In the previous tutorial on Apache Syncope, we described how to create a standalone application deployed in Apache Tomcat, and using MySQL as the persistent storage. In this tutorial we will show how to set up a basic schema for Syncope that describes the users that will be created in Syncope. Then we will show how to import users from a Database backend, which will be Apache Derby for the purposes of this tutorial. The first thing we will do is add a simple attribute for all users that will exist in Syncope. Launch Apache Syncope as per tutorial I. Click on the "Schema" tab, and then "Create New Attribute" in the Users/Normal subsection. Create a new attribute called "surname" which is of type "String" and "mandatory". 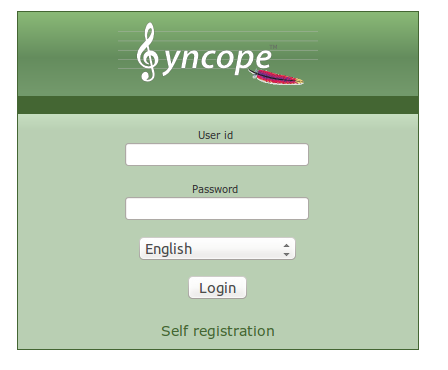 So users in our Syncope application must have a "surname". Obviously, the schema allows you to do far more complex and interesting things, but this will suffice for the purposes of this tutorial. The basic scenario is that we have a SQL database that stores user information that we would like to import into Apache Syncope, to integrate into a BPEL workflow, expose via a RESTful interface, associate with roles, etc. For the purposes of this tutorial, we will work with Apache Derby. The first step is to download and launch Apache Derby, and then to populate it with a table with some user data. Hat tip to my Apache CXF colleague Glen Mazza for an excellent tutorial on setting up Apache Derby. The next task is to import (synchronize) the user data from Apache Derby into Apache Syncope. See the Syncope wiki for more information on this topic. Click on the "helmet" icon in the "Configuration" tab to check to see whether Syncope is able to connect to the backend resource. If you don't see a green "Successful Connection" message, then consult the logs. Select "DefaultPropagationActions" for the "Actions class"
Apache Syncope is a new open source Identity Management project at Apache. This is the first of a planned four-part set of tutorials on how to get Apache Syncope up and running, how to integrate it with various backends, and how to interact with its REST API. In this tutorial we will explain how to create a new Apache Syncope project and how to deploy it to a container. We will also cover how to set up internal storage with a database, and how to install Connector bundles to communicate with backend resources. Please note that if you wish to download and play around with Apache Syncope, without going through the steps detailed in this tutorial to set it up for a standalone deployment, it is possible to download the 1.1.3 distribution and use an embedded Tomcat instance. In that case you can completely skip this tutorial and go straight to the next one. Uncomment the "<Manager pathname="" />" configuration in context.xml as well. Next, download the JDBC driver jar for MySQL and put it in Tomcat's 'lib' directory. As we will be configuring a connector for a Derby resource in a future tutorial, also download the JDBC driver jar for Apache Derby and put it in Tomcat's 'lib' directory as well. Enter values as requested for the 'groupId', 'artifactId', 'version', 'package' and 'secretKey'. A new Syncope project will be created in a directory corresponding to the value entered for 'artifactId'. Build the project by going into the newly created directory and typing "mvn clean package". To launch Syncope in "embedded" mode, go into the "console" subdirectory and type "mvn -Pembedded". This provides a quick way to start up Syncope with some test data and connectors pre-installed, along with a H2 instance for internal storage. However, instead of doing this we will set up a proper standalone deployment. After creating the Apache Syncope project, we need to configure it to use the ConnId bundles we have downloaded, the logging directory we have created, and the MySQL instance for internal storage. Edit 'core/src/main/webapp/WEB-INF/web.xml' and uncomment the "resource-ref" section (this is required as we are using a DataSource in Tomcat). If your Tomcat instance is starting on a port other than 8080, edit 'console/src/main/resources/configuration.properties' and change the port number. At this point you should have successfully deployed Apache Syncope in the Apache Tomcat container, using MySQL as the internal storage. If this is not the case then consult the Tomcat logs, as well as the Syncope logs in the directory you have configured. In the next couple of tutorials we will look at importing data into our Syncope application from various backend resources.